We at The Kilted Cake in Temecula are proud to offer baking supplies that are natural and allergy friendly, and at the top of that list is The Good Scone's cake and flour mixes. 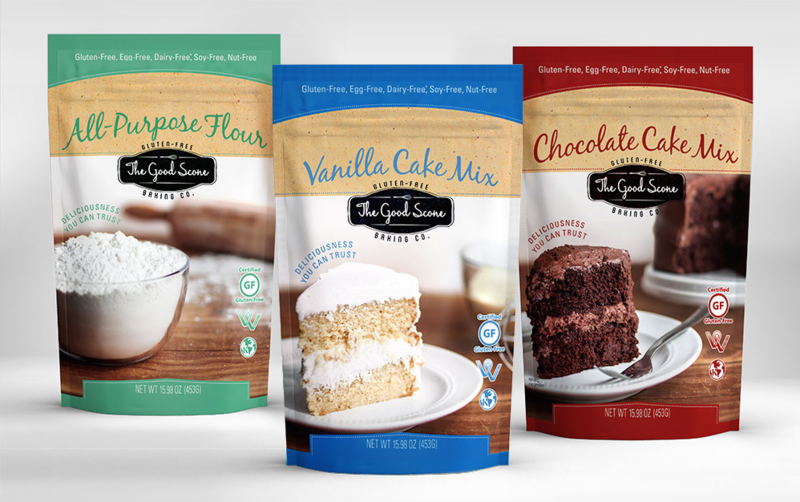 The Good Scone offers cake and flour mixes that are 100% gluten/soy/dairy/egg/nut-FREE! And they are certified kosher, vegan, and organic. The mixes offer a lot of flexibility depending on the allergens you wish to avoid. Plus, they taste great! We use these mixes in our own gluten-free baking at the shop and have yet to find a better quality mix out there. And perhaps the best part of all is that The Good Scone website offers dozens of recipes and insightful tips really get the most out of your mix. Check them out and give these magnificent alternative mixes a try!